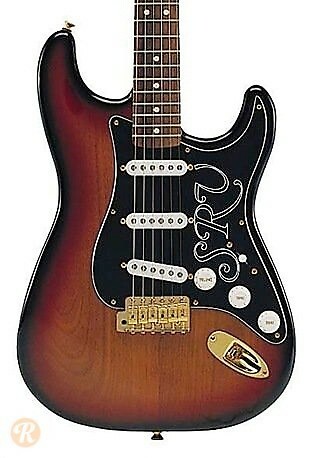 Introduced in 1992, the Stevie Ray Vaughan Stratocaster was based on Stevie's own Fender dubbed "Number One." Like the original this guitar features a sunburst finish with a black pickguard. This guitar uses Texas Special pickups. Stevie Ray Vaughan's Broadcaster and Elvis Presley’s Ebony Dove Were Auctioned for How Much?